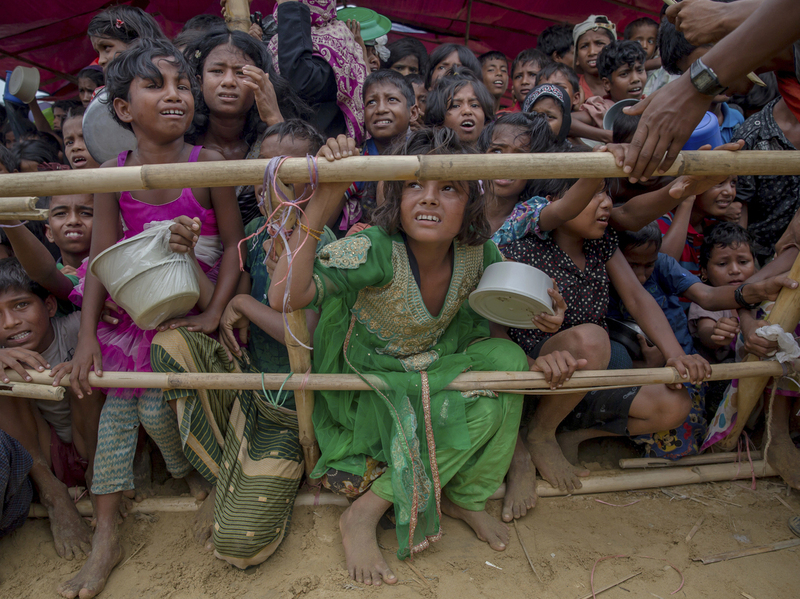 AP Investigation Details Shocking Massacre, Mass Graves Of Myanmar Rohingya : The Two-Way The Associated Press interviewed more than two dozen refugees in neighboring Bangladesh, some of whom had time-stamped cellphone videos backing claims of several mass graves. Rohingya Muslim children, who crossed over from Myanmar into Bangladesh, wait squashed against each other to receive food handouts distributed to children and women by a Turkish aid agency at Thaingkhali refugee camp, Bangladesh, in October. 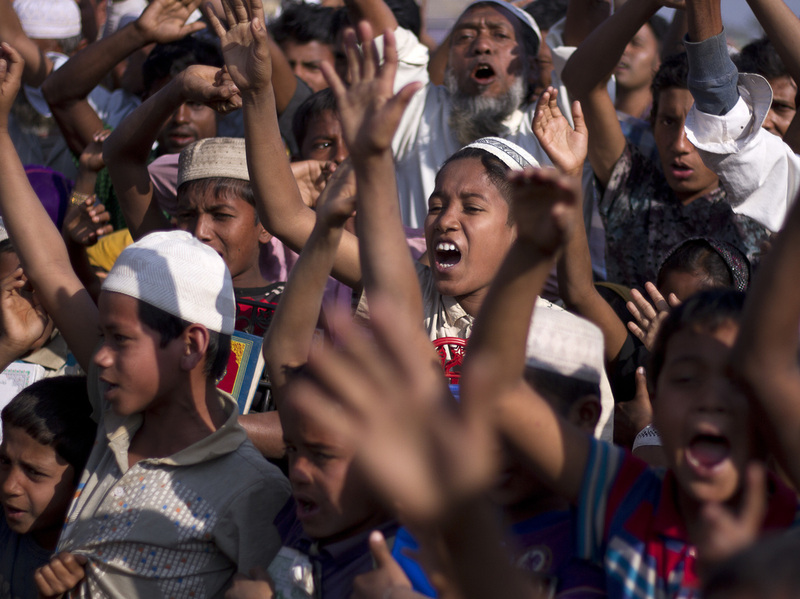 Rohingya children and refugees raise their hands and shout that they won't go back to Myanmar during a demonstration at Kutupalong near Cox's Bazar, Bangladesh, last month.